We love a special occasion! 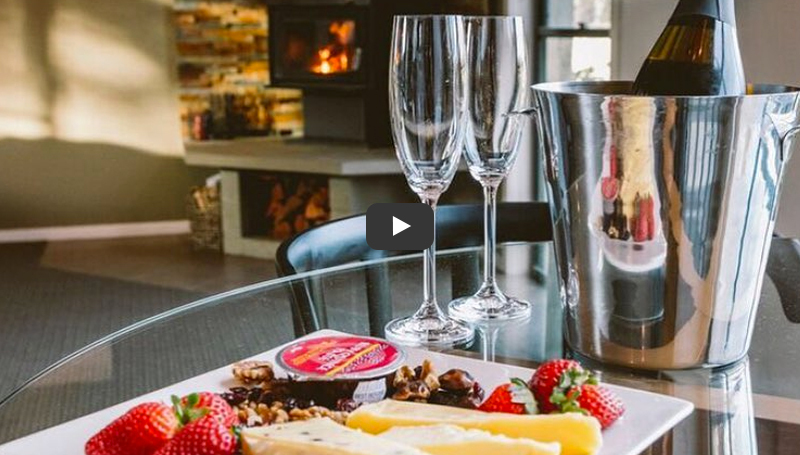 If you are looking for a romantic getaway in Qld to celebrate an anniversary, birthday, or wedding proposal, imagine… sparkling wine on ice; flower arrangements; a sea of tea light candles; pathways strewn with rose petals; fire crackling; intimate dinners. Let the memories begin! 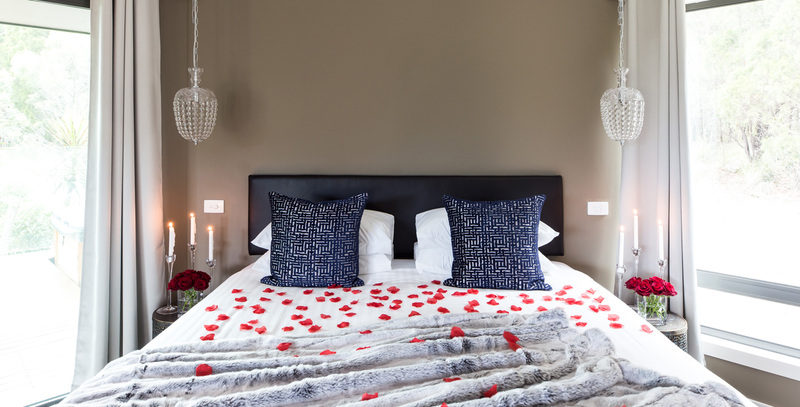 Book your Alure Stanthorpe accommodation and then review our romantic packages below for some ideas that will add luxury and personalise your experience. Contact us to discuss your ideal couples experience. Please note: A minimum of 7 days notice is usually required to arrange these special romance experiences. Imagine walking into your Stanthorpe villa with a sea of candles giving a soft flickering light. Follow the trail of silk rose petals from the front door up to bed platform and find the romance of scattered petals on the bed. There are roses, chocolates and a bottle of sparkling on ice. The fire is crackling. It’s a romantic wonderland and is perfect for a wedding proposal! Note: At a set time – the day of arrival. After hours/during stay setup $POA ($50 – $100 as a guide – allowing for cleaning). This is a beautiful and romantic decoration segment from the Ultimate Romantic Room Decoration. Note: At a set time – the day of arrival. For a touch of romance, silk rose petals are scattered over the bed. Also, included is a small box of Ferrero Rocher chocolates and a tea light candle placed on each bedside table. Note: On the day of arrival. Cake- Pricing varies. Have a chat with us about options. Book directly online with Mind Body Synergy. Relax and stretch it out with your own private in-villa yoga session. Alure Stanthorpe is committed to making your stay one that you will never forget. If you have any special requests to enhance your luxury Stanthorpe accommodation experience, please contact us to discuss. Privacy and discretion are guaranteed at all times making Alure the ideal romantic getaway in Queensland.